If you know something is wrong with a loved one, what do you do about it? Do you beat them up until they finally tell you what their problem is? Or would you be bold enough to do something seen in this rip roaring adventure created by those crazy cats, Scott Lobdell, and Eddy Barrows; Published by: DC Comics, in May, 2013. Using GENERAL terms, answer the following 4 questions about this STORY entitled 'The Brothers Trigon'. WHAT'S THE MAIN THRUST OF THIS TALE: The Teen Titans do everything in their power to stop Ravens three brothers from taking her away, back to her pappy, the demon, Trigon. ARE THE MAIN OBJECTIVES ACHIEVED: Yeah. To a degree, I suppose they are. Not this it does anybody any good. ANYTHING ELSE HAPPEN: I farted so badly, it almost made me gag. HOW DOES THIS STORY END: With a handful of Titans possessed by the devil himself. Now I'm not quite sure if this was intentional or not, but I did like the 'Evil Dead' reference when one of Trigons brats mentioned the 'Necronomicon'. You know. As in the 'Book of the Dead'! If you've not heard of this ledger before, please click on the link provided for more details on this demonic subject. (+) Please keep Raven and Gar on this book, DC. Pretty please with bells on. They're both great characters, and they always seem to fit into a Teen Titans title no matter what. (+) My God. Eddy Barrows. What an amazing artist he is! From the very beginning of this issue to the very end of it, Eddie just pencilled each page in all of his brave and bold glory. Heck, I just loved the way he draws Red-Robin and Gar. That was out of this blooming world. (+) Ever since I first saw Bruce Lee ripping out somebody's heart in 'The Big Boss', honest to Wok, I've always got a mirthful kick out of seeing this type of thing in action. Good on you, Raven. Make sure you do the same thing next issue though, huh? (+) I did enjoy the fact that each of the characters had some time to shine during their respective battles. 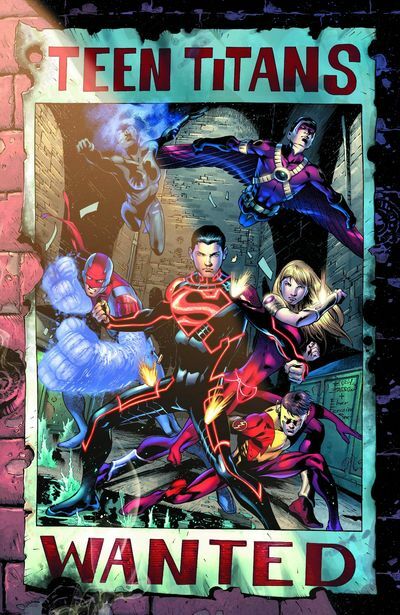 My own personal favourite was the Red-Robin and Superboy scene. In many ways this segment harked back to their previous comradeship from the pre DCNew. Delightful. Really delightful. (+) Another thing I liked about this tale was how the Teen Titans gave each of Ravens brothers a nickname. Hmmmm. That reminds me of something I'll have to pick up later. (-) On a conceptual level this adventure was basically one long drawn out fight scene. OK. I know that's most probably what it was meant to be in the first place. However, the only drawback with this type of tale, is what you gain in action, you end up losing in plot. Shame. A bloody shame. As it would have been nice if some more substance was given to this very dynamic chapter. A ROBIN AS RED-ROBIN: Come on. Let's face it. Damien is well and truly stuffed, isn't he? So I might as well give this bird some time to shine somewhere else! A ROADRUNNER AS KID-FLASH: OK. I know that I've already compared him to a pigeon in my Flash review. But still, it makes a lot of sense if I... MEEP-MEEP.... PIIIIiiiiioooooooo! 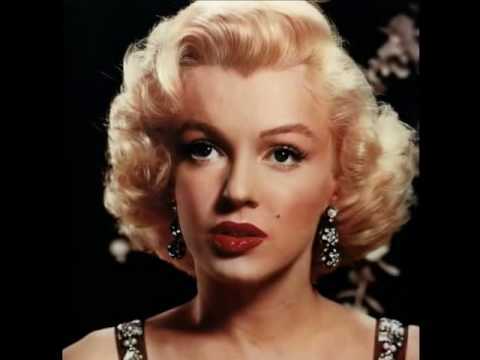 'MY HEART BELONGS TO DADDY' BY MARILYN MONROE: Yep. You got it, folk. My sardonic side has risen again. Forcing me to compare this story to this song due to its ironic yet bubbly underpinning. The Fool, The Git, And The Sap -- The B*stards of A Right B*stard. Juan, Lou, Lee -- Counting With the Demonic Brethren. Cash In, The Banker, And Withdrawal -- The Tribe that will always try to Shaft You in the Pocket. Colin, Mervin, and Clive -- Gardener's from Hell. Sean, John, and Johan -- Or In other words, the three Johnny's. Brad, Jen, and Angelina -- Oops! My Mistake. Anyway, that's enough of my sh*t for this month, folks. All I have left to say is that this issue of 'Teen Titans' was a fairly fine read all in all. The art was bold and cinematic. The premise was diluted by the action. And overall, this was a nice 'stepping stone story' that's I'm sure will be better next time round.